Are you in search of an organization for canvas printing at discount rates? Then Superchrome is the right choice. Superchrome is a UK based digital printing company, offering high quality canvas printing at affordable cost-effective rates. We also give discounts for bulk orders. Creating a distinctive, high quality canvas print from any high resolution picture or image will give your art a hand-printed look and a 3-dimensional art effect. Superchrome offers an extensive array of canvas printing services for promotional events, trade show displays, retail environments, interior design, digital/traditional artists, printmakers, and photographers. We can arrange canvas discount printing for interior decoration at home, hotels offices and parties. on various subjects and dimensions. Our service area includes – abstract canvas print, canvas art print, canvas photo print and giclee print. 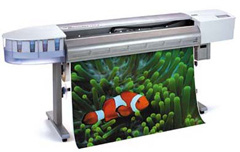 Superchrome uses the most innovative digital printing technology to increase overall efficiency and creativity. We use high-quality printing materials to give unmatched printing quality with continuous tones. The colors are fade resistant and these are printed directly on to the surface of the materials used. We use a sophisticated method of printing. The canvas print is produced on a digital printer, using UV inks for long lasting results. Whatever may be your requirement for canvas printing, we are always at your service. We have a team of designers to turn your photos into works of art, maintaining the quality of the print without sacrificing the quality of life. Our staffs are available at any time of the day. We offer a wide range of choices for color, style, type and graphics and this makes Superchrome unique. Our product prices vary according to the size of the prints. We have the capability to print the artwork in various sizes and shapes to match the dimension of your image. We complete the printing works as quickly as possible. At Superchrome, we have the facility to wrap the images. Our prints are delivered bubble wrapped if stretched and sent by Royal Mail. Contact us for quotes. We assure a fast turn over time of just two to three days. Approach Superchrome, and we will give you risk free services. If you would like to know more about canvas discount printing, any of the projects shown or if you want to discuss any project you have coming up then contact us at 020 7237 9333 or fax 020 7237 9444 or email sales@superchrome.co.uk. Our experienced personnel would be able to guide you appropriately.